4x Big Tony's Texas Holdem Tables available, $2000 for the lot. 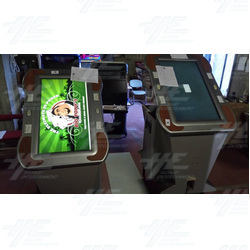 These machines are non refurbished, and are in various states of non working condition. Each machine comes with 4x SR3 Moneycontrols.com electronic AUD coin mechs and card dispensers. General issues include power supply issues or CMOS battery problems.